Home BlogKnowledge Does Mylar Block EMF Radiation? I get questions about how different materials work at blocking EMF radiation quite often, so I’ve been trying to create a quick resource on each topic. First of all to answer the question “does mylar block EMF Radiation?” simply, it absolutely does dramatically reduce the amount of EMF radiation if the mylar is placed between you and the source of the radiation. However it in most cases it will not block 100% of it, more likely around 95% or more. The amazing thing about using mylar to block or shield against EMF radiation is that it is such an inexpensive, light, and convenient way to do so. If you’re traveling and worried about EMF radiation, or there is an area in your home that you don’t want to bother protecting with EMF shielding paint, mylar blankets work extremely well. You can get get a pack of mylar blankets on Amazon very cheap. Now let’s dive into this just a bit deeper. When you’re thinking about blocking or shielding against EMF radiation, you need to think of it in less absolute terms, and more in reduction terms. When we’re judging any material and how good of a job it does at reducing radiation, we need to think about the materials attenuation. In physics, attenuation is when a material causes a gradual loss of force. For example, the tinted glass on your car attenuates sunlight, the lead vest you wear at the dentist attenuates x-rays, and your bedroom walls attenuate sound. Materials like mylar, copper, aluminum, attenuate EMF radiation by absorbing or scattering the photons as they pass through. I’ve talked in other articles a bit about the inverse-square law, which essentially means that as you double your distance from a source of radiation, you quarter your exposure to it. So when calculating how much EMF Radiation you’re being exposed to, you have to look at both the attenuation of materials between you and the source, as well as your distance from it. When we’re talking about attenuating radiation, we usually think of it in decibels (dB) reduced, and this will be a bit different for different wavelengths and frequencies. 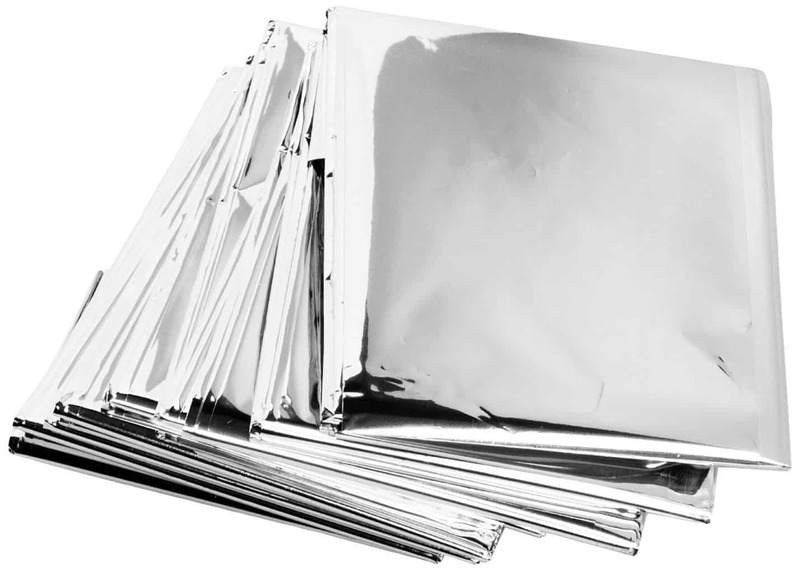 When you’re looking to purchase Mylar, know that it comes in different thicknesses and qualities, and these will vary the attenuation abilities of the material, but you should expect to reduce radiation by about 20 dB. How Do I Know How Much Radiation Mylar Is Reducing? For this, you’re going to have to get an EMF meter. I have and would suggest the Trifield TF2. You need to measure the amount of radiation, then shield the radiation with Mylar or something else, and then measure again to determine the reduction. If you’re concerned at all about EMF radiation in your home, getting an EMF meter will be absolutely crucial. Side Note: If you’re using Mylar to block radiation, be sure to not puncture it, instead use some sort of adhesive or paste. Should I Use Mylar Or Shielding Paint? There are plenty of good materials out there to block EMF radiation, the nice thing about Mylar is that it is so inexpensive and easy to travel with. However, if you’re looking for a more permanent and attractive solution to a radiation problem, such as putting a barrier between you and your smart meter, then shielding paint is probably a better option. You can read my full review on Yshield’s EMF shielding paint review here. Now let’s talk about some smart things you can do to reduce your overall exposure to EMF radiation. The first thing you’re going to want to do is reducing sources of EMF radiation in your home and office. I’d start by reading through the following articles which will guide you in doing this. Try to get away from using WiFi in your home, and instead hook your computers up to ethernet cables. Protect yourself from your Smart Meter, read the article to find out more about why this is so important. When using your cell phone, try to use speakerphone or headphones. Don’t use your cell phone against your head. There are so many more to list, so if you’re still interested to check out some of the articles I listed above. Or sign up for the EMF Academy email list to get some more of my favorite tips. I really hope you enjoyed my article on “Does Mylar Shield EMF Radiation,” If you did please consider sharing it!